"Armikrog arrives in August," we—well, I—told you in June. And I did so in good faith and with the best of intentions! I have recently been informed, however, that this is not actually going to happen. Instead, the game will be out on September 8. "As we're approaching the finish line, we've come across some details in the game that we really want to address. Some of the issues are about tuning, while others are straight-up bugs fixes," developer Pencil Test Studios said in a statement. "Since we owe it to every one of you to give you the best possible game we can make, we've decided to push back the game's release date to September 8th." It's not a huge delay, given that the game was originally slated for August 18, but one worth being aware of if you've been looking forward to it. 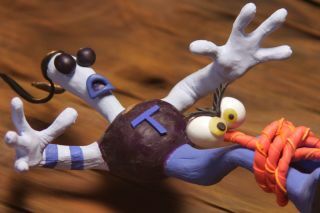 And Armikrog sounds like it may be worth looking forward to: Our E3 hands-on with the claymation adventure, developed as a spiritual successor to The Neverhood, wasn't without bumps, but we did say that its clay-based world "confounds all expectations."